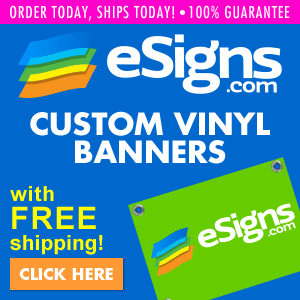 eSigns is the best choice for custom signs, banners, A-frames and more. We have an easy online design tool, FREE Super Saver Shipping and same day shipping! Start generating revenue with us today! Preview the eSigns lander here. Get paid 6% of sales for each sale made through your affiliate links.